Arte Américas, the largest Latino cultural center in Central California, will continue its concert season this weekend with two unique concerts at the venue. On Friday night, the annual "Nights in the Plaza" series will feature the South Valley band "Califas" in the center's outdoor concert space. On Saturday, Carmencristina Moreno will perform inside one of the building's art galleries. Her setlist will be made of of songs that were written by, and about women. The popular "Nights in the Plaza" concert series takes place on Friday nights from May through September, with sixteen concerts in total. This week the popular Texas-style, bilingual genre known as "Tex-Mex" will be showcased under the stars. "There are a lot of Tejanos (Texans) in the Valley, and not a lot of places to hear Tejano music," said Arte Américas Chief Operating Officer Rebecca Caraveo. "This group hails from Visalia and have a huge following of folks who enjoy this style of dance music," she added. Admission to the Califas concert is open to all ages, and tickets are $10 for general admission seating or $8 for Arte Américas members. Taco trucks will be on-site as well as a shaved ice vendor, full bar, and refreshment stand with cold drinks. 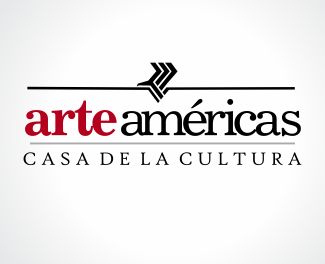 "There aren't a lot of family-friendly places where people can go out to hear music, dance, and not have to call a babysitter," said Arte Américas Board President René Moncada. "We're very proud to be able to provide a cultural experience that grandkids, teenagers, college students, and grandparents can each enjoy," said Moncada. Saturday night from 6pm-8pm, guitarist/vocalist Carmencristina Moreno will perform her show "The Seasons of Life" inside one of the cultural center's art galleries. The program is comprised of songs written by women, and when woven together tell one woman's tale of triumph and trajedy. Moreno was awarded the nation's highest folk art honor when she was named a National Endowment for the Arts National Heritage Fellow in 2003. Moreno was also the recipient of the coveted Bess Lomax Hawes Award, and was recognized for her lifelong contribution to Mexican American musical heritage through songwriting, performing, and teaching. Tickets to the event are $8 and will be available at the door. "Her voice and singing ability rivals singers the caliber of Joan Baez and Linda Ronstadt,"says music historian Mark Guerrero. "She’s also a fine songwriter and accompanies herself brilliantly on acoustic guitar...has achieved many things in her career, but like most Chicano musical artists, has not received the commercial success and mainstream attention she deserves," Guerrero added. Moreno is known for spontaneously bursting into song during interviews and comes from a family of talented musicians. Her parents were pioneering Mexican-American singers in the Los Angeles area during the late 1930s and '40s, performing as El Dueto de Los Moreno. Inspired by her parents and their friends, she also decided to pursue a career in music and performance. Now, at close to 75, Carmencristina Moreno is not slowing down, though she’s survived breast cancer and is nursing a shoulder injury after 60 years of holding an acoustic guitar. She wrote a book about her father’s experience in the Mexican Revolution (which includes 2 CDs) and lives in a house surrounded by raisin vineyards and almond trees, still composing and playing guitar every day.